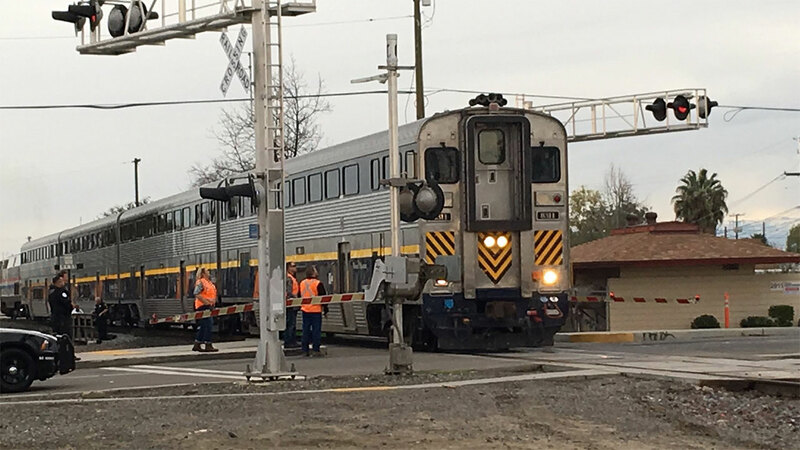 FRESNO, California (KFSN) -- Fresno Police say a woman was critically injured after being hit by an Amtrak train on Olive Avenue near Abby. Police say the woman was walking along the tracks when she was hit. The woman was about 30 years old. They believe the incident was an accident.